Tennis and your next television appearance have something new in common: the color blue. I always recommend you wear a strong French blue or royal blue shirt when you're on television: It flatters all skin tones and draws the viewer's eye to you better than most colors. (There's a reason all those backdrops at news conferences are the same color, you know.) 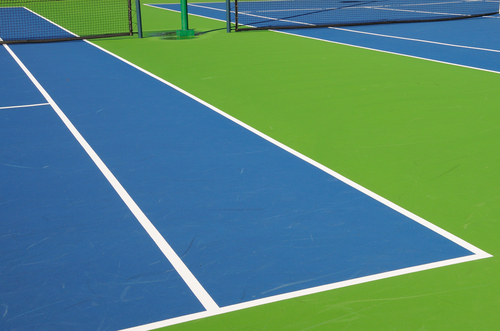 Now the U.S. Tennis Association is applying that same savvy to the U.S. Open courts, which will be a royal blue, bordered with green. Click here to read today's Washington Post coverage on the change, and see the picture here.